I was hoping that things would settle down after the holidays, but now it’s just a different kind of busy! I’m working on some upcoming stories on a local romance writer and a Lexington Medical Center green building, but for now, I want to share my favorite new recipe: Overnight Oats. 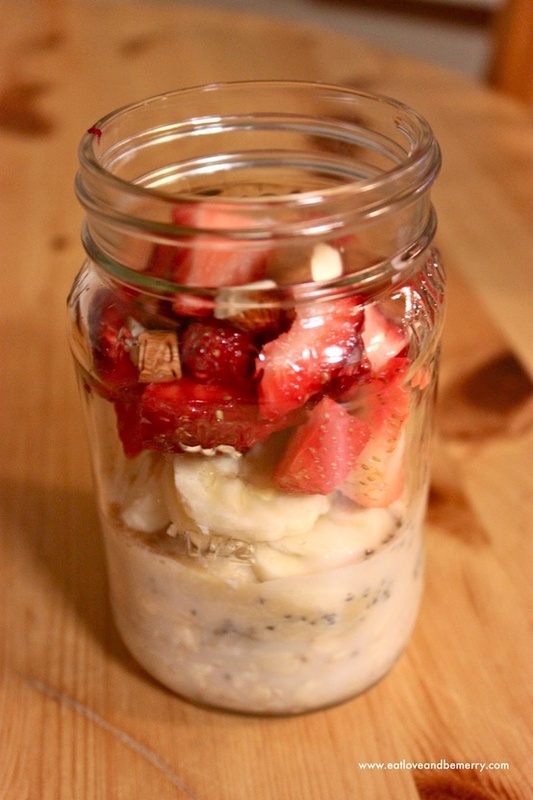 Refrigerated oatmeal may sound a little odd, but trust me, it’s a fabulous, fast, healthy start to your morning. On Sunday, I make five jars and have breakfast for the whole week. Check it out, and let me know what you think! Cover, shake and refrigerate overnight. This entry was posted in Food, Mary Pat Baldauf and tagged Columbia, columbia sc, cooking, every woman blog, Famously Hot, food, hospital blog, Lexington, lexington medical center., lexington sc, Lexington Women, lmc, LMC every woman blogger, mary pat baldauf, Midlands, Midlands Women, Recipes, shannon shull, South Carolina, South Carolina Women, Women, women's blog, women's hospital blog by Kate Gillmer. Bookmark the permalink.